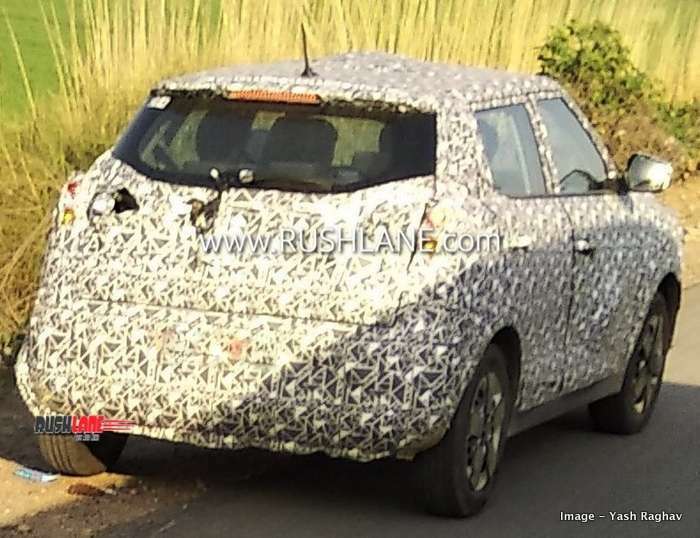 2020 Mahindra XUV300 electric SUV spied on test - Auto Expo debut? 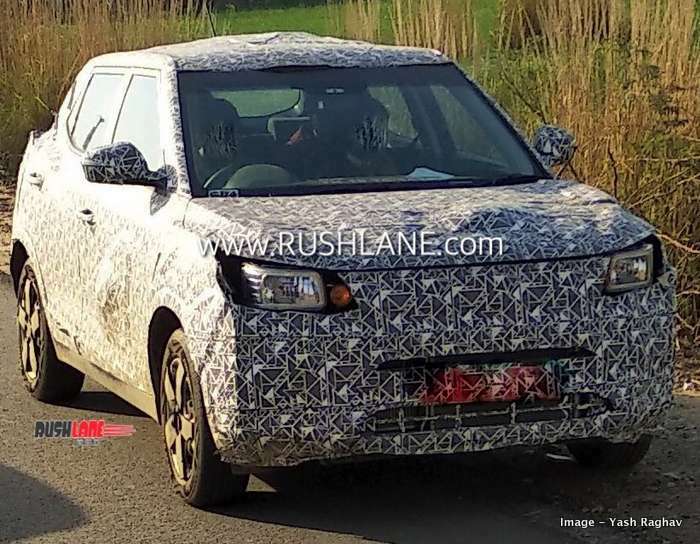 2020 Mahindra XUV300 electric SUV spied on test – Auto Expo debut? Mahindra has confirmed that the XUV300 electric SUV will be launched in 2020. Mahindra and Mahindra, leading SUV makers in India, launched the new XUV300 in Feb 2019. In the first month itself, the sub 4 meter compact SUV managed almost 4,500 units in sales. It became the 3rd best selling car in the segment, beating the likes of Ford EcoSport. And this without the availability of an automatic option. The car is only offered with a manual transmission option as of now. Mahindra will launch AMT variant this month, and a conventional automatic variant later this year. Apart from this, they have also confirmed the launch of a fully electric variant of XUV300. It will be launched sometime in 2020. Global debut is expected to take place at the 2020 Auto Expo in February next year. Ahead of that, the car has now been spotted on test, just outside of Bangalore. 2020 Mahindra XUV300 electric is the fourth electric vehicle from the brand, following the e2o plus, e-Verito and eSupro. The XUV300 electric will borrow all its features from the standard model and will also see no change in dimensions. Currently going under the codename S210 (petrol/diesel XUV300 was codenamed S201), the upcoming XUV300 electric will be offered in two versions, Standard Range and Long Range. The Standard Range variant will be capable of a 200 km range while the Long Range variant will offer 350-400 km range. Battery cells are being procured from South Korea. Mahindra’s subsidiary SsangYong, have collaborated with LG Chem for the supply of specific battery cells. The advanced and highly efficient Li-ion batteries will be used to power XUV300 electric. These batteries are compact in size and will pack in more power allowing for an extended range. As a part of this collaboration, LG Chem will also develop a cell exclusively for India. They will also supply Li-ion cells based on nickel manganese cobalt chemistry with high energy density. The inclusion of these batteries will see the price of the XUV300 more expensive than regular variants currently on sale, as cost of these batteries are higher, though prices are expected to be reduced at a later stage. This could put the Mahindra XUV300 electric in an estimated price range of Rs.20 lakhs. Borrowing similar features from the regular Mahindra XUV300, the electric variant will also get a sunroof, touchscreen infotainment system, reverse parking sensors with camera and safety features among which will be 7 airbags, ABS and EBD. It will also benefit from the recently introduced FAME Phase 2 scheme, for made in India electric cars.